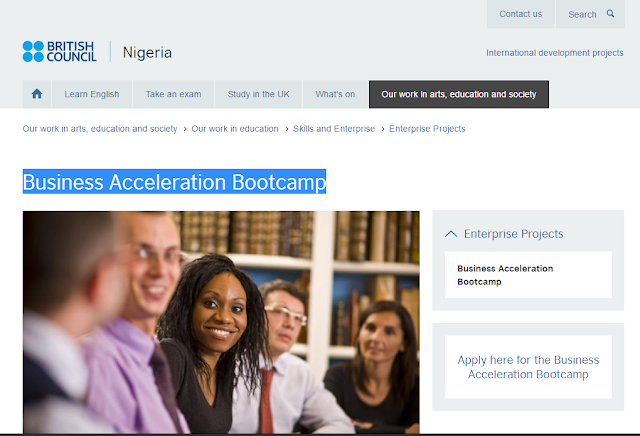 The Business Acceleration Bootcamp is for entrepreneurs in Nigeria with early stage businesses (0-2years) looking to scale and/or to attract potential investment and support. The bootcamp will include interactive workshops and mentor led sessions delivered by Oxygen Startup, UK. Oxygen Startups works with entrepreneurs across the globe at every stage of their startup journey – be that an individual with a great idea, to a fully formed high growth company poised to receive investment. They provide curriculum of expertise and support to enable individuals and companies to refine their ideas into successful high growth businesses. Entries submitted after the given deadline will not be accepted.